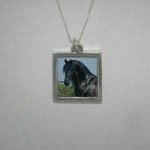 Desc: Sterling Silver black stallion engraved photo necklace. The chain is a box link and has a spring ring clasp. 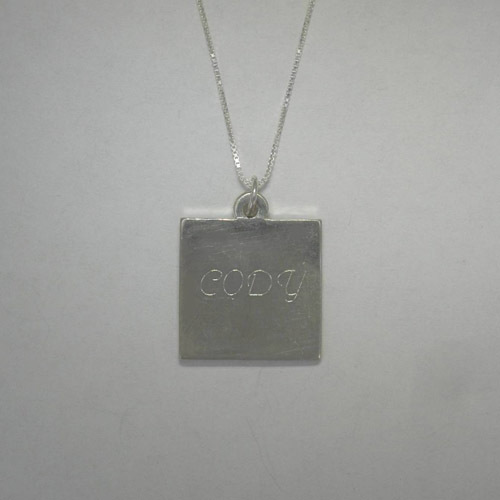 The pendant is square and holds a photo of your choice. The back of the pendant is engraveable. The necklace has a bright polish finish. Contact us for details.